The attorney for defendant Robert W. Kerekes Jr. says the “case is about speech, not action,” and suggested his client was protected by the First Amendment. A New Jersey man charged with calling in a threat to The Evergreen State College that shut the campus down last month has been released from jail on condition that he have no more contact with the Olympia school, not possess any firearms and undergo a mental-health evaluation, according to prosecutors. Robert W. Kerekes Jr. was arrested Monday at his home in Morris Plains, New Jersey, on state charges of making terroristic threats, criminal coercion and raising a false public alarm, according to police and federal officials. Kerekes’ defense attorney, Brian Neary, of Hackensack, told the Daily Recordthat the “case is about speech, not action,” and suggested his client was protected by the First Amendment. Fred Snowflack, the public-information officer for the Morris County Prosecutor’s Office, said Kerekes made a brief court appearance Wednesday. Copies of the charging documents were not immediately available. Snowflack said that the investigation is ongoing and that no further information was available. Kerekes, 53, was ordered to appear Aug. 14 in Morris County Superior Court for a pre-indictment conference, Snowflack said. Kerekes was arrested after a monthlong investigation into a telephone call received about 10:30 a.m. June 1 to a business line at the Thurston County 911 dispatch center. The dispatcher then asks the caller how long it will be before he arrives, but the call abruptly ends at that point. 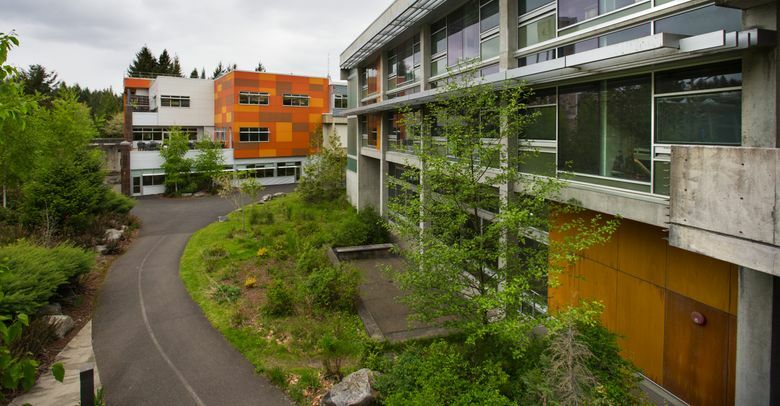 Thurston County Communications alerted Evergreen Police Services, which in turn notified the college, which announced a short time later that classes were canceled, citing a “direct threat to campus safety.” The closure was later extended through June 5. Investigators determined the threat was not credible. The Evergreen State College became a political flash point after professor Bret Weinstein questioned a “Day of Absence” in April in which white students were asked to leave campus amid activities on- and off-campus to discuss racism and equity. Morris County, N.J., Assistant Prosecutor Noelle Fiorentino said that Kerekes had read news reports about the student protests, according to the Daily Record. Kerekes has no known connection to the college. Mike Carter: mcarter@seattletimes.com. Information from Seattle Times archives is included in this story.